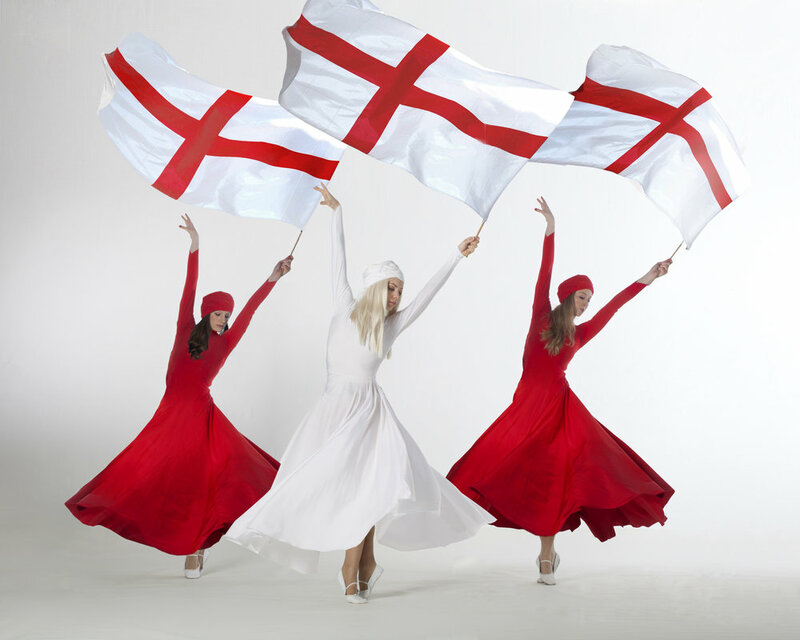 Shown here, we have combined red and white with ribbon performance to striking effect. We have these dresses in a full spectrum of colour. This, combined with our extensive collection of detail patches and range of props means we can produce almost endless variations. 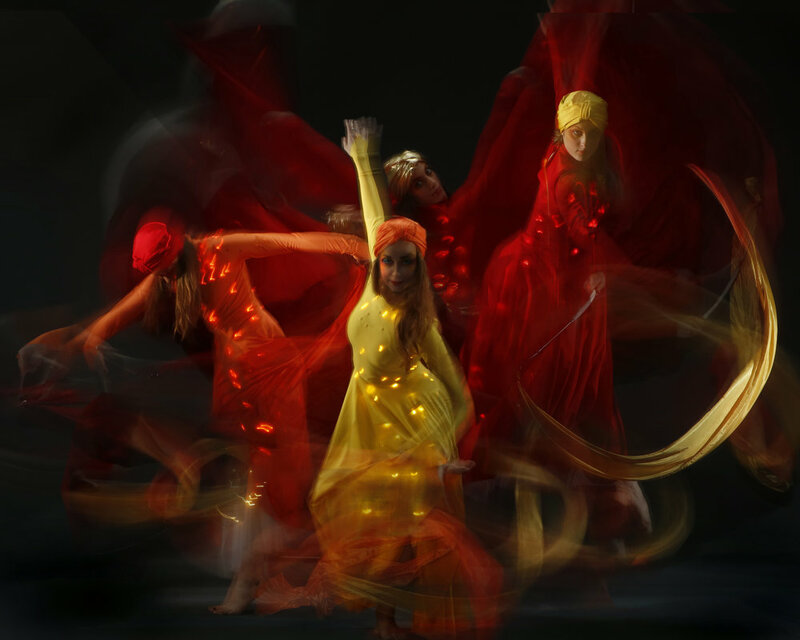 Rhythmic gymnastic performance meets ribbon dance in an explosion of energy and vitality. Strong on stage or as walkabout entertainment, equally perfect for private party entertainment, corporate event performance and everything in-between.